When Grace Saunders vowed to take her husband for better or worse, she meant every word. She and Jamie are solid, mutually supportive, and certain of their future together. And then, on a hiking trip for their 15th anniversary, an accident leaves Jamie in a coma, unable to move or communicate. As months pass, Grace is in limbo - still married, yet utterly alone and burdened with responsibilities that threaten to sink her. Meeting Nan and Monica, unlikely friends who need Grace almost as much as she needs them, makes life bearable, if not quite happy. 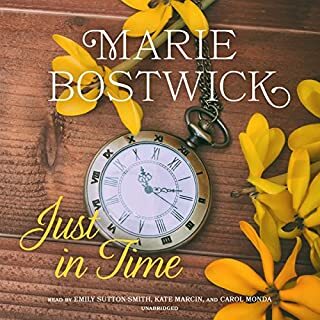 I've read everything Marie Bostwick has written and I must say this is not my favorite. While it is well written, the story line just seems to be lacking something. 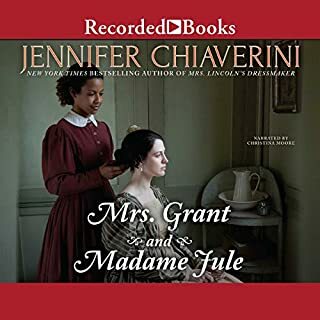 Would you be willing to try another book from Jennifer Chiaverini? Why or why not? Probably not now. I used to love reading all of the books in the quilting series. They each were written very well and were easy to follow along with the story. I feel the new style of writing makes the story hard to follow. I'm reading for enjoyment. It shouldn't be an effort to read a book. Jennifer ... please go back to your old style of writing. No. I've enjoyed most of the other books by this author but not this one. 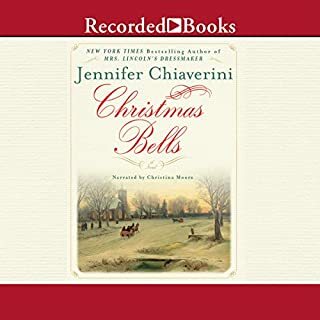 Would you recommend Christmas Bells to your friends? Why or why not? Only if they are already familiar with the author. What does Christina Moore bring to the story that you wouldn’t experience if you just read the book? Her narration brought the story to life. While the story was interesting, I did not like the way the story was presented. I was disappointed and may not get any more by the author. I hope the author goes back to her older format for writing.